While prevention is best when it comes to gum disease, you may still end up being diagnosed with this dental condition. Although gum disease can have serious consequences, receiving the diagnosis is far from being a death sentence. There are many effective treatment options. Better still, if you have not been taking proper care of your teeth, gums and mouth, it may be the wake-up call you need to take control of your oral health. Gum disease can actually refer to gingivitis or periodontal disease. Gingivitis is a more minor form but it can progress to periodontal disease if not taken care of right away. A person has a build-up of bacteria from plaque and the gums react by becoming inflamed, red and swollen. At this point, there is no bone or tissue damage. This can change, however, if left untreated. At that stage, the bone and gum retract from the teeth, forming pockets. These pockets attract more bacteria and become infected. Toxins released by the bacteria eat away at the bone and tissue that keep your teeth intact. Your teeth can loosen and you may eventually lose those teeth infected by the bacteria. Although treatment for gum disease can be invasive, especially for periodontal disease, your dentist will try to help you using the least invasive methods first. Usually, non-surgical interventions will include scaling the tooth and root planing, where deep cleaning of the root gets rid of plaque. Afterwards, other interventions are typically used to restore oral health. These include various antibacterials, depending on your dental needs. For those patients where a non-invasive therapy can be used, it is unlikely you will have to undergo more intensive surgery. Unfortunately, most patients will still need to be monitored more regularly to ensure their oral health is maintained. Those who do need surgery – generally those with periodontal disease – will do so after a dentist or periodontist sees that the tissue around teeth is unhealthy. When it can't be repaired with one of the non-invasive approaches, surgery may be needed to reduce the pockets. 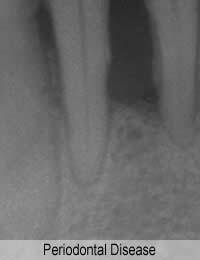 Also, crown lengthening or regenerative approaches may be used to restore oral health. Sometimes, a soft tissue graft is needed where there is a lot of deterioration in the oral tissue surrounding teeth. More recently, lasers have been used to improve the outcomes of gum disease. They are typically used in conjunction with scaling and root planing. It is thought that the use of lasers can help to reduce bleeding and swelling during the dental procedures. A final option to consider is cosmetic surgery, which can not only improve the look of your smile if you suffer from gum disease but can help with functioning as well in some cases. It's important to choose someone experienced in this area to ensure a good outcome. First and foremost, however, you must follow good oral hygiene practices. In particular, if your gum disease relates to poor oral hygiene, you need to adopt the right practices. Always brush regularly with a soft-bristled toothbrush. Many people mistakenly believe that a harder toothbrush will remove more plaque, but this is false. The gum sensitivity and inflammation from gum disease makes it even more important to use a soft-bristled toothbrush. Floss regularly and use an antibacterial mouthwash. After being diagnosed with gum disease, you may receive recommendations from your dentist to use special mouth rinses to help keep bacteria levels down in the mouth. Gum disease is quite common and while good oral hygiene can help to prevent its occurrence, those who take care of their teeth can still suffer from gum disease. Talk to your dentist about the best way to handle your gum disease and what you can do at home to help you achieve a healthy smile for life.